New England seaweed the next big thing in local food? Paul Dobbins, president of Ocean Approved, a kelp farming operation in Maine, hauled in his crop. Sarah Redmond has known she wanted to be a seaweed farmer since she was 15 years old, when she would explore the coastal shores of Maine, learning to identify species and cook with them at home. Now, as a marine extension agent for the Maine Sea Grant, a federal-state partnership to promote marine science funded by the National Oceanic and Atmospheric Administration and the State of Maine, Redmond has seen her longtime dream come true. Her time is split between helping would-be seaweed farmers learn to tend and harvest their crops, conducting original research on how to grow species that have never before been cultivated in North America, and championing native, domestically grown seaweeds. Wild seaweeds have long been eaten as food in the Northeast, but deliberately farming them by seeding spores into the open ocean, which is how seaweed is generally produced for Asian markets, is still exceedingly rare in North America. According to Redmond, though, who holds a master’s degree in ecology, the rich nutritional content and low environmental footprint of native seaweeds like kelp, nori, and dulse makes their cultivation a promising venture for a new wave of growers who are just now starting to experiment with aquaculture. 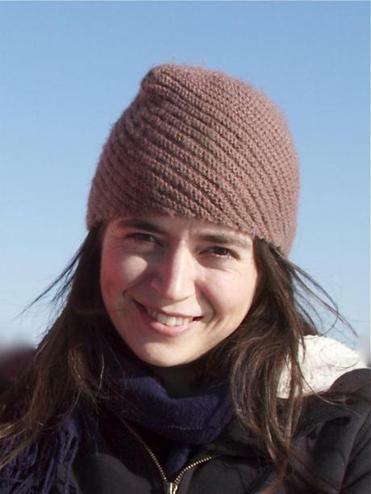 Maine Sea Grant agent Sarah Redmond works to promote the cultivation of seaweed. 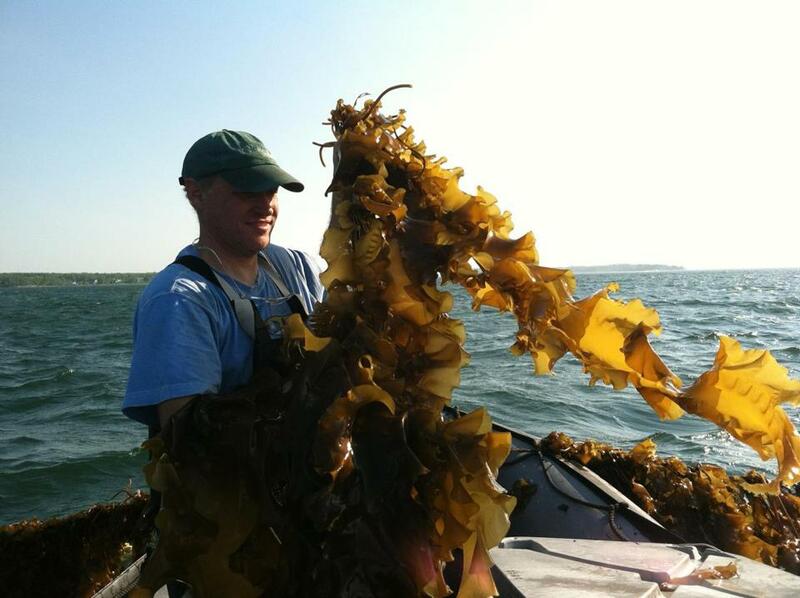 At the vanguard of New England’s nascent seaweed farming industry is Paul Dobbins, president and cofounder of Ocean Approved, a kelp farming operation based in Portland, Maine. Ocean Approved, which Dobbins started in 2008, starts each growing cycle by harvesting spores from the last season’s most promising kelp specimens. They bring the samples to the company’s nursery, which is located on the campus of Southern Maine Community College, where the spores are nourished in long tubes submerged in salt water tanks. After about a month, it’s time to take the spores back to the ocean. They sink the tubes to a depth of about 7 feet and let the kelp grow for 90 to 100 days in the waters of the Atlantic before pulling it back in to reap the crop, which in recent harvests has totalled some 100,000 pounds of kelp — a task that this year involved taking on 32 part-time seasonal workers, up from 24 last year. “We’re able to create a highly nutritious local food product without using any arable land, fresh water, or pesticides,” Dobbins said. Finally, they bring the kelp back to their processing facility in Portland, where they rinse, trim, and blanch it into salads, slaws, and nutritious blocks called Kelp Cubes that are used in smoothies. Emily Johnson rotates kelp spores at the lab at Southern Maine Community College. Ocean Approved sells the finished products in bulk to buyers including the Harvard School of Public Health, Wellesley College, Equinox Health Clubs, the artisanal pizza chain Flatbread, and the Cambridge juice bar Mother Juice. The company is in the process, Dobbins says, of upgrading its facilities to create consumer-oriented products they intend to sell in grocery stores. According to Redmond, commercial seaweed farming companies in New England other than Ocean Approved are largely still in the research and development phase. One exception is a Connecticut outfit called Thimble Island Oyster Co., which has branched out to farm seaweed, even working with researchers at the University of Connecticut to develop vertical underwater systems to simultaneously farm kelp, algae, mussels, and scallops. Dobbins and Redmond have worked together consistently since 2009, when Redmond worked for a time at Bangs Islands Mussels, a company Dobbins later sold before earning her master’s degree and joining Maine Sea Grant. “She’s done a fabulous job of training others and helping others start seaweed farms down the East Coast,” Dobbins said of Redmond’s work on the Sea Grant. Vellante, who has experimented previously with imported seaweeds to create dishes on the Legal Sea Foods menu, used the produce to develop a roasted cod with nori butter and a bacon-braised sugar kelp that he treated like collard greens, cooking it down with slab bacon, onions, apple cider, and a touch of honey. As New England’s fledgling seaweed farming industry starts to mature, home chefs may soon have the chance to dabble with domestically farmed seaweed of their own.